It has been about ten days since a snowstorm provided some great contrast in the Denver of winter and spring. Walking around City Park I found this group of trees showing their blossoms as the snow provided a winter covering on them. 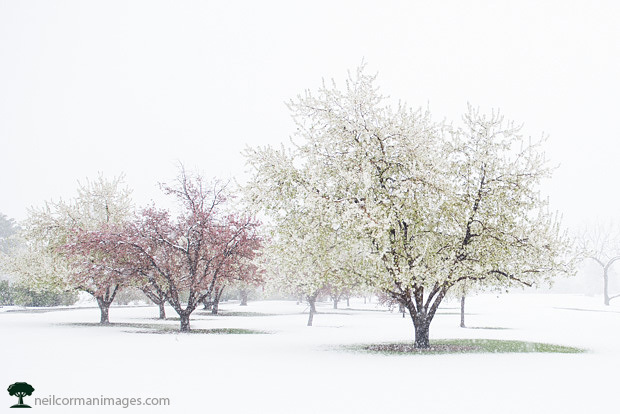 With the snow continuing the fall it wasn’t long until the trees were fully covered in heavy snow on their branches. This snow didn’t last long as the temperatures started to warm up again during the week quickly making the snowstorm a memory to look back at in pictures and memories.